When one views a map of Manitoba its main geographic feature is obvious – Lake Winnipeg. 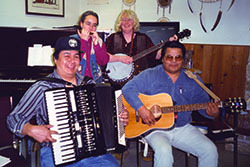 Together with lakes Manitoba and Winnipegosis, it is one of this province’s Great Lakes. Lake Winnipeg is the world’s 10th largest lake by surface area. 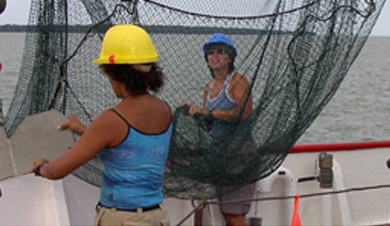 Its economic significance includes millions of dollars generated from commercial fishing, tourism and power generation. Commercial fishers, many of whom are Indigenous, produce $20 million in product during a very short harvesting season. Spectacular beaches and a variety of tourism services generate $100 million in direct revenue annually. As the 3rd largest reservoir in the world (as a result of the dam building of the 1970s) Lake Winnipeg generates hundreds of millions of dollars in hydroelectric revenue. 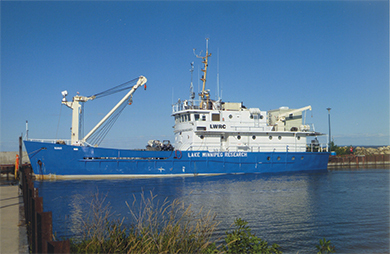 The Namao, a former coast guard vessel, is the research platform for the Lake Winnipeg Research Consortium. These economic dividends, while impressive, do not capture the aesthetic values of Lake Winnipeg. From the lake’s birth at the end of the last Ice Age, to its uniqueness in Indigenous mythology, to a pivotal role in the exploring of western North America and its special place in the memories of countless families that have used it as a playground, Lake Winnipeg’s aesthetic value is priceless. 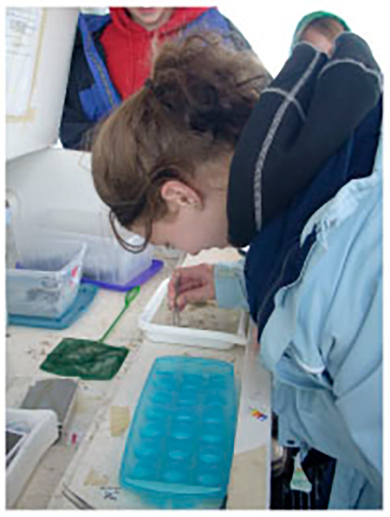 Scientists gathering samples for research. The state of Lake Winnipeg is reminiscent of the eastern Great Lakes. Decades ago they faced similar problems, and resources were mobilized in response. Foundations led the way and acted as a catalyst to promote social, industrial and political change. In 2004, a group of community and private foundations in Manitoba began discussing how they could assist in the rehabilitation of Lake Winnipeg. Over 2 ½ years they learned the science of the lake and contemplated what leadership role they could play. Leadership was key. Lake Winnipeg’s drainage basin includes four provinces, four states and two countries. Its problems originate in all of these jurisdictions, but they are most manifest in Manitoba. 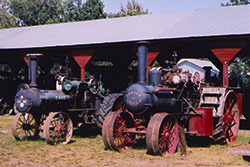 It was agreed that it behoved Manitoba foundations to take the first steps and invest the first money. We are confident that foundations in other jurisdictions will join in this endeavour. In fact, in Calgary in 2006 a significant number of foundations in the three other provinces agreed in principle to support activities in their communities that would be of local benefit and which would contribute, automatically, to the remediation of Lake Winnipeg downstream. An early partner was also the Lake of the Woods Water Sustainability Foundation headquartered in Northwestern Ontario. 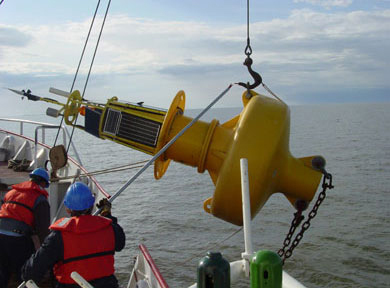 A buoy, equipped with scientific gear, is retrieved from the lake. Research is also conducted during winter months. 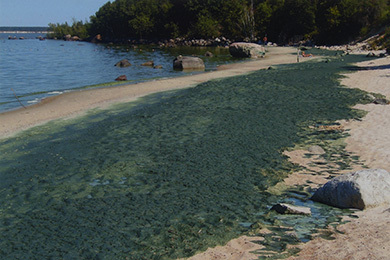 Eutrophication is Lake Winnipeg’s biggest problem. The result is algae fouling the lake’s marvellous sand beaches. Perhaps the most impressive feature of Lake Winnipeg is the massive area of North America that drains into the lake as the water proceeds to Hudson Bay. This area includes four provinces and four states that cover one million square kilometres, and is home to 5.5 million people. And therein lies the dilemma of Lake Winnipeg. It is refreshed and refilled by countless streams, creeks, and rivers bringing runoff from a vast area. But that vast area also provides the deleterious impacts of 5.5 million people and their industries. From the Rocky Mountains to the eastern Continental Divide, anything spilled on the ground will find it’s way, downhill, to Lake Winnipeg. 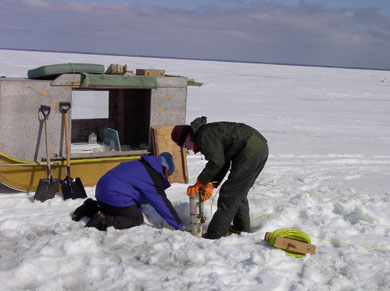 The Lake Winnipeg Research Consortium was created in 1998 to encourage and facilitate research that will lead to a better understanding of Lake Winnipeg’s dynamics and how the lake is affected by human activities throughout its huge drainage area. Current research is focussed on eutrophication, exotic species, climate change and pollutants. As a result of the generosity shown by the smaller foundations, the Thomas Sill Foundation and The Winnipeg Foundation provided matching contributions such that $165,000 has been provided towards the administrative budget of the Lake Winnipeg Research Consortium. These funds were paid over a period of years ending in 2011. In 2011-12, a second phase of this project was undertaken which resulted again in the leadership of the smaller foundations being matched by the Thomas Sill Foundation. A further $90,000 was raised for the projects of the Consortium. Manitoba’s foundations do not often fund administrative costs, they rarely work beyond their political boundaries and they have never formed such a dynamic partnership. Their passion for Lake Winnipeg has superseded traditional practices. Of this we are proud. A smaller vessel, the Fylgja, has been donated to the Consortium by the Nielsen family of Winnipeg. 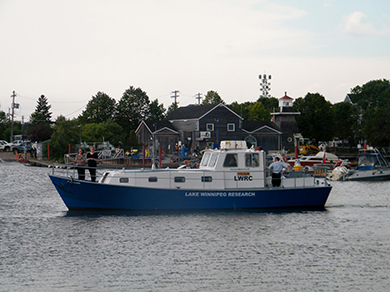 It is being used for near-shore research, particularly on zebra mussels. The Thomas Sill Foundation is also pleased to have supported the education program of the Consortium with a $10,000 grant in 2010-11. At the first meeting of its 2014-15 year, the Foundation announced a third phase of its support for the Lake Winnipeg Research Consortium. Over two years we matched amounts offered by rural foundations at a rate of 2:1, to a maximum of $75,000. This raised $112,500 for the Consortium’s administrative expenses. In total, the Thomas Sill Foundation and its foundation colleagues have raised $377,500 for the work of the Consortium since 2006. Our contribution was $197,000. Please visit www.lakewinnipegresearch.org for more information.